The prize only goes to a democratically-elected African leader who has demonstrated exceptional leadership, served their mandated term and left office within the last three years. London, United Kingdom: Former Liberian president Ellen Johnson Sirleaf on Monday won the rarely awarded Ibrahim Prize for Achievement in African Leadership the world's biggest individual prize. The award comes with $5 million (4.1 million euros), which is paid over 10 years, and $200,000 annually for life from then on. Sirleaf, Africa's first elected female head of state, left office on January 22 after a maximum 12 years as president, served in two terms. The 79-year-old won the 2017 Ibrahim Prize, only the second time it has been awarded in six years. In 2011, she shared the Nobel Peace Prize as a champion for women's rights. Former African Union secretary general Salim Ahmed Salim, chairman of the prize committee, said Sirleaf had changed Liberia's fortunes. "Ellen Johnson Sirleaf took the helm of Liberia when it was completely destroyed by civil war and led a process of reconciliation that focused on building a nation and its democratic institutions," he said. 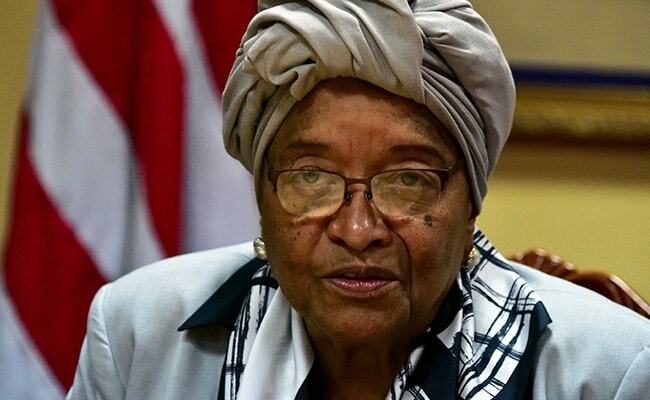 "Throughout her two terms in office, she worked tirelessly on behalf of the people of Liberia. Such a journey cannot be without some shortcomings and, today, Liberia continues to face many challenges. "Nevertheless, during her 12 years in office, Ellen Johnson Sirleaf laid the foundations on which Liberia can now build." The prize, founded by Sudan-born telecoms tycoon Mo Ibrahim, has only been given five times in its 11-year existence. The philanthropist has said in the past that making no award sent just as strong a message on African leadership. Ibrahim said he was delighted by Monday's decision. "In very difficult circumstances, she helped guide her nation towards a peaceful and democratic future, paving the way for her successor to follow," he said. "I am proud to see the first woman Ibrahim laureate, and I hope Ellen Johnson Sirleaf will continue to inspire women in Africa and beyond." The prize's four previous laureates are: Joaquim Chissano of Mozambique (2007); Festus Mogae of Botswana (2008); Pedro Pires of Cabo Verde (2011), and Hifikepunye Pohamba of Namibia (2014). Former South African president Nelson Mandela was made an honorary laureate in 2007. The London-based Mo Ibrahim Foundation produces an annual index of African governance, allowing citizens to measure how well their countries are being run. Since 2006, Liberia was the only country out of 54 to improve in every category on the index. Liberia moved up 10 places in the overall African ranking to 28th since then. Former football star George Weah, the 1995 FIFA World Player of the Year, won last year's Liberian presidential elections and took over from Johnson. The handover has been seen as a milestone in Liberia's transition from a civil war that killed around a quarter of a million people between 1989 and 2003. Other major awards are the Fundamental Physics Prize, worth $3 million; the Templeton Foundation for spiritual contributions, worth &#163;1.1 million ($1.53 million); and the Nobel Prize, which in 2017 was set at nine million Swedish kronor ($1.11 million) for each award.